This Pulitzer Prize-winning reporter became the managing editor and then the executive editor of the Los Angeles Times. Like his predecessor, John Carroll, Dean Baquet refused to fire more reporters, as each was ordered to do by the owner, Tribune Company, and both wound up leaving the newspaper. Today he is managing editor for news of The New York Times. Dean Baquet talks about covering the campaign of colorful former Louisiana governor Edwin Edwards (D), who was plagued by corruption charges. Dean Baquet talks about how corporate owners of newspapers pay "lip service" to public service. Baquet attends Columbia University, majoring in English. In the summer between his sophomore and junior years, while back in his hometown, Baquet walks in to The New Orleans States-Item and is hired for an internship. He returns to Columbia but later drops out to continue reporting in New Orleans. He joins the Times-Picayune as a police reporter. Moving to the Chicago Tribune, Baquet is an associate metropolitan editor for investigations and chief investigative reporter, covering corruption in politics and the garbage-hauling industry. Baquet shares the Pulitzer Prize for Investigative Reporting with two Tribune colleagues for their reporting on waste and corruption in the Chicago City Council. The report details widespread abuse of power and misuse of public offices and results in proposals to reform the city’s zoning laws. As The New York Times attempts to improve its investigative reporting, Baquet leaves the Tribune to work as a metropolitan reporter covering investigations in New York and Washington, D.C. In multiple reports on the largest nonprofit health insurer, Baquet and a colleague are Pulitzer Prize finalists for Investigative Reporting for exposing fraud and mismanagement of Empire Blue Cross and Blue Shield in New York. Reluctant to become an editor, he is persuaded by top editors at the Times to try it for a year. He begins as deputy metro editor for one month, then becomes special projects editor for the Business desk. Baquet finds he enjoys being an editor and in July is named the national editor. Courted by Los Angeles Times editor John Carroll, Baquet moves to Los Angeles to join the newspaper as the managing editor. Over the next five years, the Times staff wins 13 Pulitzer Prizes. In a dispute over staff cuts, Carroll announces his resignation. Baquet considers leaving, too, but in the end he stays and is named Carroll’s successor. With this appointment, Baquet becomes the first African-American to serve as the top editor of one of the largest circulation newspapers in the United States. Baquet runs into problems with the corporate ownership similar to those of his predecessor. He refuses demands to further cut the staff to increase profits. Baquet gives a fiery speech to the Associated Press Managing Editors conference in New Orleans in October in which he urges fellow editors to push back against corporate attempts to cut back newsrooms. Shortly after the speech, Baquet is ousted from the Los Angeles Times. Rejoining The New York Times , Baquet becomes the Washington bureau chief and assistant managing editor. Baquet succeeds Jill Abramson as managing editor for news at the Times when Abramson is promoted to executive editor . Interview with Charles Lewis at the National Press Club in Washington, D.C, Aug. 3, 2007. Kurtz, Howard. “Los Angeles Times Names Dean Baquet as Top Editor.” The Washington Post, July 21, 2005. Robertson, Lori and Rachel Smolkin. “John Carroll Bows Out in L.A.” American Journalism Review. Aug/Sept 2005. Seelye, Katharine Q. “Editor at Los Angeles Times Stepping Down After 5 Years.” The New York Times. July 21, 2005. Seelye, Katharine Q. “Los Angeles Paper Ousts Top Editor.” The New York Times. Nov. 8, 2006. Seelye, Katharine Q. “A Top Editor Returns to Times to Lead Washington Bureau.” The New York Times. Jan. 31, 2007. Simon, Stephanie. 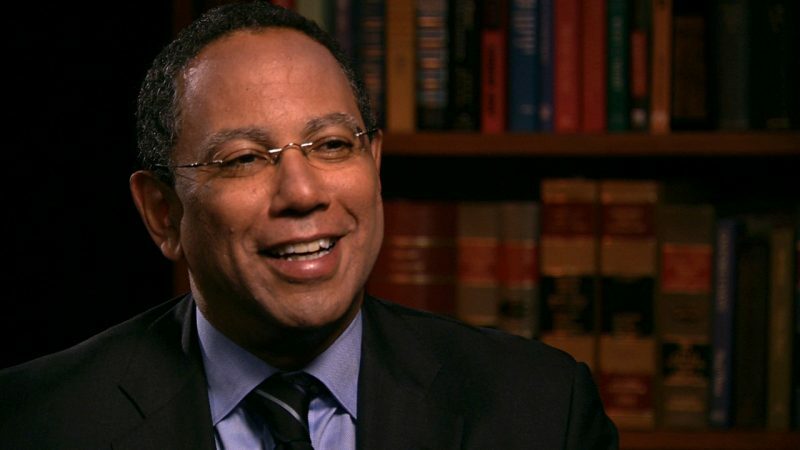 “Passion for Reporting News Drives Baquet as an Editor.” Los Angeles Times. July 21, 2005. The New York Times Co., Press Release, Jan. 30, 2007.